The Good Place is an American fantasy-comedy television series created by Michael Schur. The series premiered on September 19, 2016 on NBC. The series focuses on Eleanor Shellstrop (Kristen Bell), who wakes up in the afterlife and is introduced by Michael (Ted Danson) to "The Good Place", a highly selective Heaven-like utopia he designed, as a reward for her righteous life. However, she realizes that she was sent there by mistake and must hide her morally imperfect behavior while trying to become a better and more ethical person. William Jackson Harper, Jameela Jamil, and Manny Jacinto co-star as other residents of "The Good Place", together with D'Arcy Carden as Janet, an artificial being who knows all the information in the universe and can produce any item out of thin air, abilities which she uses to help the inhabitants. The Good Place is an American fantasy-comedy television series created by Michael Schur. The series premiered on September 19, 2016 on NBC. The series focuses on Eleanor Shellstrop (Kristen Bell), who wakes up in the afterlife and is introduced by Michael (Ted Danson) to "The Good Place", a highly selective Heaven-like utopia he designed, as a reward for her righteous life. However, she realizes that she was sent there by mistake and must hide her morally imperfect behavior while trying to become a better and more ethical person. William Jackson Harper, Jameela Jamil, and Manny Jacinto co-star as other residents of "The Good Place", together with D'Arcy Carden as Janet, an artificial being who knows all the information in the universe and can produce any item out of thin air, abilities which she uses to help the inhabitants. The Good Place received positive reviews upon its debut and has since gained critical acclaim. It has been praised for its acting, writing, originality, setting, and tone. In addition, the first season's twist ending and the show's exploration and creative use of ethics and philosophy have been positively received. The third season premiered on September 27, 2018, and concluded on January 24, 2019. In December 2018, NBC renewed the series for a fourth season. After her death, Eleanor Shellstrop is welcomed to her afterlife in "The Good Place" (opposed to "The Bad Place") by Michael, an immortal architect who built a specifically designed afterlife community that strives to accommodate everyone's specific tastes. Michael introduces Eleanor to Janet, an artificial intelligence that serves as a guide and repository of knowledge and can produce anything asked for out of thin air, and her assigned soulmate, a university ethics professor named Chidi Anagonye. Eleanor tells Chidi that she has been mistaken for someone else and he agrees to teach Eleanor to become a better person to earn her place for real. Her neighbor is introduced to her as a silent Buddhist monk named Jianyu Li, whose soulmate is socialite Tahani Al-Jamil. Jianyu reveals that he is actually a dimwitted DJ from Florida named Jason Mendoza, who also believes he has been sent to The Good Place by mistake. As Chidi continues to teach Eleanor and then Jason ethics lessons, Tahani tries to work out a way in which Eleanor and Jason can be allowed to stay in The Good Place. When those efforts prove fruitless, an eternal judge named Shawn rules that Eleanor and Jason must be sent to the Bad Place. In the season finale's twist ending, Eleanor deduces that the four have actually been in The Bad Place all along. Michael reveals his demonic plot to have the four human inhabitants torture each other for all eternity emotionally and psychologically. He then announces his intent to wipe their memories and separate the four to try again. Michael repeatedly attempts the experiment in human torture again with variations of the neighborhood, but the group figures out the truth each time. After 802 fruitless attempts, the other demons stage a coup against Michael and threaten to inform his boss about the repeated failures if he doesn't implement their ideas instead. Michael decides to team up with the four humans and promises to get them all into the real Good Place. The group later escapes with Michael's help, and they attempt to get to the Good Place by appealing to Gen, an entity known as the judge. Gen is not convinced that the improvements the four of them have shown are due to them being good people but instead she believes that their changes are due to their desire for "moral desert". She gives tests to each human which play to their weaknesses; everyone, except Eleanor, fails. Michael appeals and Gen agrees to send them all back to Earth with no memories of the afterlife and Michael intervening to rescue them each from their deaths. After a false start, Michael intervenes again and points Eleanor in the direction of Chidi, which reignites her passion for ethics and causes her to seek Chidi out. Eleanor, Chidi, Tahani, and Jason have been sent back to Earth in order to determine whether a second chance at life allows them to become better versions of themselves. Realizing that they fall back into their old patterns, Michael repeatedly interferes without Gen's knowledge to manipulate them to find each other. They all end up in Sydney, where Chidi teaches, and become participants in a study about near-death experiences and ethical decision making. After Trevor, a demon from the Bad Place, attempts to break up the group from the inside, he, Michael, and Janet are all called in by the Judge for their meddling. After Gen banishes Trevor, Janet and Michael escape to Earth with the key needed to travel between worlds. They spend the next year monitoring and interfering in the lives of the four humans to keep the group together before ultimately being discovered. Michael and Janet are forced to admit the truth about the group's experiences in the afterlife, forever corrupting their motivations and rendering them incapable of earning enough points to enter the Good Place. Eleanor persuades Chidi, Tahani, and Jason to instead spend their time left on Earth helping other people become ethical enough to get into the Good Place. Meanwhile, Michael and Janet track down Doug Forcett in Canada, where they soon discover that his life is not as perfect as they expected, and must find a way to change the outcome. Shawn, still upset over Michael's betrayal, figures out a way to get to Earth without a key. He and his fellow demons enter Earth with a scheme to not only retrieve the group, but to go after their loved ones and Doug, forcing the team to escape to Janet's pocket dimension using the key. When Michael and Janet learn that it has been 521 years since anyone has entered the real Good Place, Janet convinces Michael that it is up to him to fix the system. The group escapes to the Good Place's mail room and appeal to the committee that runs the Good Place but their bureaucracy hinders them from effectively changing anything. Michael tries to convince Gen that because good deeds have more and more unintended bad consequences, it's impossible to earn enough points to get into the Good Place. To test Chidi's theory that humans can improve if external factors are removed, a new neighborhood in the Medium Place is built which will be populated with four new test subjects as well as Michael and the group. Kristen Bell portrays series protagonist Eleanor Shellstrop. Kristen Bell as Eleanor Shellstrop, a deceased salesperson from Arizona who entered an afterlife utopia called "The Good Place" seemingly after being mistaken for a human rights lawyer by the same name. With the aid of her alleged soulmate, Chidi, she attempts to reform by learning about ethics, believing she still has a chance to earn a legitimate spot in the Good Place. In season 2, Eleanor becomes the de facto leader of the group, nicknamed "Team Cockroach", after a truce with Michael to keep Shawn from finding out about the reboots in exchange for helping the humans get to the real Good Place. She is the only person from "Team Cockroach" who, having passed Gen's test, qualifies for the real Good Place which she hides from her friends. William Jackson Harper as Chidi Anagonye, a deceased ethics professor who was born in Nigeria and raised in Senegal and Eleanor's alleged soulmate. The name Chidi originates from the Igbo language, common in southern Nigeria, and means "God lives". He is the first person to learn her secret and begins teaching both her and Jason ethics. He died on earth when an air conditioner fell on his head outside his apartment building. Chidi's native language is French, although within the afterlife his speech is translated into the language of his listener, therefore appearing to speak English to Eleanor and the audience. In the end of the second season he is shown to also speak fluent English. In the third season it is revealed that he is fluent in French, was schooled in English, and speaks both German and Latin, the latter to be prepared for any potential comeback. Jameela Jamil as Tahani Al-Jamil, a deceased, wealthy philanthropist born in Pakistan, raised in the United Kingdom, and who went to school in France. Tahani, whose full name means "Congratulations Beautiful", is a seemingly good-natured soul with a cheerful and helpful attitude who in life was constantly overshadowed by her younger sister, Kamilah. She died when a statue of her sister at the Rock and Roll Hall of Fame in Cleveland, Ohio, which she was trying to tear down, crushes her. Initially, Eleanor dislikes Tahani, finding her positive attitude, condescending manner, and her tendency to name drop obnoxious, but the two eventually become allies. D'Arcy Carden as Janet, a programmed guide who acts as the neighborhood's main source of information, analogous to an intelligent personal assistant. She is the 25th generation of "Janet" programs like her, dating back to a predecessor featuring a click wheel. She has infinite knowledge of the universe, can provide residents anything they desire, and details everything of what is happening in the Good Place but does have some flaws. Janet's programming is incompatible with lies and must tell the objective truth. In season 1, after she was rebooted the first time, Jason and Janet fell in love with each other and got married. It is revealed in season 2 that her feelings for Jason have remained despite memory wipes, causing glitches when Jason and Tahani fall in love. Whenever Janet is not needed, she retreats to her void and waits until she is summoned. Carden also plays "Bad Janet", Janet's counterpart from the Bad Place and "Neutral Janet" who works in the Accountant's Office. Manny Jacinto as Jason Mendoza from Jacksonville, Florida, a deceased amateur DJ, devoted Jacksonville Jaguars fan, and backup dancer who sold fake drugs to college students and died locked in a safe as part of a poorly thought out robbery attempt. Jason is immature, easily distracted and only partially aware of what is happening to them. He is first introduced as "Jianyu Li", a supposedly silent Buddhist monk and Tahani's soulmate. After Janet is rebooted in Season 1, Jason develops feelings for her because she is the only one who is nice to him; the two marry, but because his memory is wiped in the season 1 finale, he is unaware of his marriage to Janet until he is told about it in season 2. After being sent back to Earth with no memories of his time in the afterlife, Jason learns about his previous self's marriage again when he accesses Janet's database in "Janet(s)". Ted Danson as Michael, the architect of the Good Place where Eleanor and her fellow humans reside. The name Michael (מִיכָאֵל) is Hebrew for "Who is like God". Michael exhibits a deep fascination for humans and human life, delighting in things ranging from paper clips to suspenders to car keys. In the first-season finale, it is discovered that he is a Bad Place demon who constructed a fake "Good Place" designed to trick Eleanor, Chidi, Tahani, and Jason into torturing each other. However, he ends up repeatedly restarting his experiment when the four keep figuring out that "The Good Place" is "The Bad Place", leading to his routine failure, as well as hiding the constant resets from his superiors. As part of a truce with Eleanor to avoid exposure by Vicky and a chance to reform his behavior, Michael agrees to let the humans keep their memories and help them get into the real Good Place as well as to take Chidi's ethics lessons. At the end of Season 2, Michael convinces the Judge to allow Eleanor and the others to attempt to correct their personal flaws by allowing them to return to the real world without memories of the afterlife. Tiya Sircar as the "real Eleanor Shellstrop", a human rights lawyer mistakenly sent to the Bad Place, who was killed trying to save Eleanor from a traffic accident, causing confusion because the two Eleanors were close to one another and died almost simultaneously. In the finale of season 1, she is revealed to be a demonic colleague of Michael's named Vicky Sengupta, who is part of the experiment. After having to go through hundreds of Michael's failed attempts, Vicky blackmails him with her records and threatens to expose his failure if he doesn't put her in charge of the next reboot. This makes Michael desperate enough to team up with the humans, whose memories he only pretends to wipe. Michael later successfully convinces Shawn that she betrayed them during the experiments, leading to her imprisonment in the Bad Place. She is later released and joined Shawn in recapturing the group. Adam Scott as Trevor. In season 1, he is portrayed as a sinister figure representing the Bad Place. He is allegedly sent when Eleanor's true identity is revealed, to take her to the Bad Place. He leads an entourage of demons that parties endlessly and bullies Michael. He reappears in Season 3, infiltrating the humans' research group in an attempt to throw a wrench into Michael's experiment on Earth, only to be thwarted by Gen, who exiles him back to the Bad Place. Marc Evan Jackson as Shawn. He is first introduced as an all-powerful Eternal Judge, who is called in to hear Eleanor's fate. In the season 1 finale, he is revealed to be Michael's boss. While he gives Michael one more chance, he is oblivious to the fact that Michael failed more than 800 times and later accepts Michael's claim that the second experiment was a success, promoting him to oversee an entire universe of neighborhoods. Now that Michael betrayed him, Shawn (and his minions) are making it his relentless mission to capture the group and bring them to The Bad Place personally. Since 2017, Jackson also hosts the official The Good Place: The Podcast for NBC. Maribeth Monroe as Mindy St. Claire, a former corporate lawyer and cocaine addict who one day came up with the idea of a foundation to help people but was killed while on the way to implement the idea. Because of this, her fate in the afterlife became unclear, leading to the creation of the Medium Place as a compromise between the two Places. While she is not tortured, her situation appears to be one of perpetual boredom. It is implied that Mindy died in the 1980s as evidenced in her surroundings (such as having a small cathode ray tube TV set with VHS tapes of Cannonball Run II and a People magazine featuring Pierce Brosnan that she keeps reading). Luke Guldan as Chris Baker, a demon who is obsessed with his (human acquired) hard-rocked body and uses the catchphrase "I have to work out at the gym!" In the second season he was Eleanor's soulmate and returned with Shawn to help capture the group, but was knocked out during the latter attempt by Tahani and sent back to the Bad Place by Janet. Jason Mantzoukas as Derek Hoffstettler, an artificial "rebound guy" that Janet creates to get over Jason. He is later sent to Mindy St. Claire with a duffel bag full of cocaine by Eleanor to thank Mindy for helping her. Maya Rudolph as Judge Hydrogen (or "Gen" for short), an impartial inter-dimensional judge who rules on matters involving the Good Place and the Bad Place. She was responsible for Mindy St. Claire's afterlife. Michael successfully convinces her to put the four humans back on Earth to test his theory that they can reform even after what happened. When she became furious with Michael and Janet's attempts to interfere with the humans on Earth, Gen forbids the two to return, but they disobey her. Mike O'Malley as the Doorman, the gatekeeper of the doorway between the Bad Place and Earth. He has an affinity for frogs. Kirby Howell-Baptiste as Simone, a neuroscientist who befriends and, for a period, dates Chidi. Amy Okuda as Jessica / Gayle, who as Jessica, complains to Eleanor about flying into a turkey when Eleanor causes a trash storm to occur. In Chapter 15, as Gayle, she is one of the demons expressing disappointment at Michael's plans for the next reboot. She plays an important part in Chapter 22 when she witnesses Vicky attempting to remove Janet's magnetic cuffs and later tells on her to Shawn. Steve Berg as Gunnar, a demon who annoys Eleanor with his sunny disposition in Season 1, he later shows an interest in often wanting to bite and nibble on humans. Bambadjan Bamba as Bambadjan, a demon who pretended to be a lawyer in the first season, and later returned with Shawn to capture the group, only to be sent back to the Bad Place by Michael and Janet. Josh Siegal as Glenn, a demon who took the guise as a bearded man. He first appeared as nice and cheerful in the first experiment, up until he became disgusted with Michael's reboots and joined Vicky in her failed takeover of The Good Place. Glenn is known to be creative as he was responsible for creating the illegal doorway for Shawn. He is also known to smoke cigars and is bullied by his Bad Place allies, telling him to shut up when he tries to take credit. In addition to recurring on the series, Siegal also serves as one of the writers on The Good Place. Eugene Cordero as Pillboi, Jason's best friend and partner in crime. Jama Williamson as Val, a demon who is also Shawn's secretary and has a obsession with seeing things get tortured. Ben Lawson as Larry Hemsworth, a former boyfriend of Tahani and the fictional brother of the Hemsworth acting family. Rebecca Hazlewood as Kamilah Al-Jamil, Tahani's younger and competitive sister. Leslie Grossman as Donna Shellstrop, Eleanor's mom. 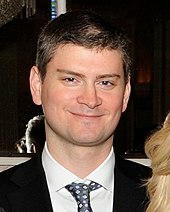 NBC issued a press release on August 13, 2015, announcing it had given the then-untitled show a 13-episode order based purely on a pitch by Michael Schur. On January 12, 2016, it was announced that Kristen Bell and Ted Danson had been cast in the lead roles for the series. The first synopsis of the show was also released, stating that the show was set to revolve around Eleanor designing her own self-improvement course with Michael acting as her guide – although the afterlife element had always been a part of the series, as Kristen Bell has stated she was aware of the first-season finale twist when she signed onto the show. William Jackson Harper was cast as Chris on February 11, 2016, though the character was renamed Chidi. Jameela Jamil was cast as Tessa on February 25, 2016, and her character was renamed Tahani. On March 3, 2016, Manny Jacinto was revealed to have been cast as a "sweet and good-natured Jason" whose "dream is to make a living as a DJ in Southern Florida". On March 14, 2016, D'Arcy Carden was cast in a series regular role that was announced as "Janet Della-Denunzio, a violin salesperson with a checkered past" – although writer Megan Amram later admitted that this was an intentional hoax. The final premise for the show, including the afterlife element, was ultimately announced on May 15, 2016, when NBC announced its schedule for the 2016–17 TV season. According to Schur, the premise and idea was to include religious elements into the series after doing research on various faiths and groups, but he decided to scrap the plans, instead going for a concept that included all faiths that was diverse and free of religious views. "I stopped doing research because I realized it's about versions of ethical behavior, not religious salvation," he says. "The show isn't taking a side, the people who are there are from every country and religion." Schur also points out that the setting (shot in San Marino, California's Huntington Gardens) already had the feeling of a pastiche of different cultures, stating that the neighborhoods will feature people who are part of nondenominational and interdenominational backgrounds that interact with each other regardless of religion. The series' setting and premises, as well as the serialized cliffhangers, were modeled on Lost, a favorite of Schur’s. One of the first people he called when he developed the series was Lost co-creator Damon Lindelof. "I took him to lunch and said, 'We're going to play a game [of] 'Is this anything?'" He then added "I imagine this going in the Lost way, with cliffhangers and future storylines." The first season's surprise twist, that the Good Place was the Bad Place, and Chidi, Eleanor, Jason and Tahani were the four souls chosen because they were best suited to torture each other indefinitely, is very similar in premise to philosopher Jean-Paul Sartre's stage play No Exit, in which three strangers die, are escorted to a single room by a friendly bellhop where they are informed they must co-exist together, but ultimately determine they are entirely incompatible and thus come to the conclusion that "hell is other people". The only actors who knew the truth from the start were Danson and Bell. Critics have also suggested resemblances to 1960s surreal TV show The Prisoner in its isolated, rule-bound setting. The series premiered on September 19, 2016. On January 30, 2017, NBC renewed the series for a second season of 13 episodes, which premiered on Wednesday, September 20, 2017, with an hour-long premiere before moving to its normal time slot on Thursday at 8:30 pm, beginning September 28, 2017. On November 21, 2017, NBC renewed the series for a 13-episode third season, which premiered on September 27, 2018. On December 4, 2018, NBC renewed the series for a fourth season. The first season was released on DVD in region 1 on October 17, 2017. The second season was released on DVD on July 17, 2018. 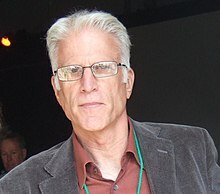 Ted Danson has received acclaim for his work on the series. The Good Place has received positive reviews from television critics. On Rotten Tomatoes, the first season has a rating of 92%, based on 65 reviews, with an average rating of 7.91/10. The site's critical consensus reads, "Kristen Bell and Ted Danson knock it out of the park with supremely entertaining, charming performances in this absurd, clever and whimsical portrayal of the afterlife." On Metacritic, the first season has a score of 78 out of 100, based on reviews from 32 critics, indicating "generally favorable reviews". The editors of TV Guide placed The Good Place second among the top ten picks for the most anticipated new shows of the 2016–17 season. In its review from writer Liam Matthews, "NBC's new comedy has an impressive pedigree" (referring to Mike Schur and stars Kristen Bell and Ted Danson, the latter cited as "arguably the greatest sitcom actor of all time"). Matthews concludes, "The hope is that their combined star power can restore NBC's tarnished comedy brand to its former glory. It won't be the next Friends, but it's something even better: a network comedy that feels different than anything that's come before." The second season received critical acclaim. On Rotten Tomatoes, the second season has a rating of 100%, based on 56 reviews, with an average rating of 8.95/10. The site's critical consensus reads, "By voluntarily blowing up its premise, The Good Place sets up a second season that proves even funnier than its first." On Metacritic, the second season has a score of 87 out of 100, based on reviews from 10 critics, indicating "universal acclaim". The third season has also received critical acclaim. On Rotten Tomatoes, the third season has a rating of 100%, based on 38 reviews, with an average rating of 8.79/10. The site's critical consensus reads, "Charming and curious as ever, The Good Place remains a delightfully insightful bright spot on the television landscape." On Metacritic, the third season has a score of 96 out of 100, based on reviews from five critics, indicating "universal acclaim." Multiple critics have praised the show for its exploration and creative use of ethics and philosophy. Featured topics include the trolley problem thought experiment (originally devised by Philippa Foot), the categorical imperative (first formulated by Immanuel Kant), T. M. Scanlon's What We Owe to Each Other, and the works of Aristotle and Søren Kierkegaard. Andrew P. Street of The Guardian wrote that "moral philosophy is the beating heart of the program" and that the show "made philosophy seem cool." Elizabeth Yuko of The Atlantic noted that "The Good Place stands out for dramatizing actual ethics classes onscreen, without watering down the concepts being described, and while still managing to be entertaining." For their part, several philosophers have celebrated the show's largely accurate popularization of their line of work while noting some minor inaccuracies. Several critics have noted that The Good Place is notable for its eschewing of antiheroes and cynical themes in favor of likable characters and a positive message. James Poniewozik of The New York Times explained that "the most refreshing thing about The Good Place, in an era of artistic bleakness, is its optimism about human nature. It's made humane and sidesplittingly entertaining television out of the notion that people – and even the occasional immortal demon – are redeemable." Jenna Scherer of Rolling Stone wrote that The Good Place proves that "slapstick and banter can coexist alongside tragedy and hardship – that a show doesn't need to be self-serious to be serious-minded." Erik Adams of The A.V. Club praised the show as portraying an "uncommonly decent TV world". Stuart Heritage of The Guardian called The Good Place "relentlessly optimistic", a quality which Stephanie Palumbo of Vulture called "a salve for despair in the Trump era". 1 2 3 Wansbrough, Aleksandr Andreas (November 8, 2017). "Kantian comedy: the philosophy of The Good Place". The Conversation. Retrieved December 20, 2017. ↑ Lombrozo, Tania (October 23, 2017). "The Good Psychology In 'The Good Place'". NPR. Retrieved December 20, 2017. ↑ Brogan, Jacob (October 27, 2017). "On The Good Place, Thinking Too Much About How to Be Good Can Send You Straight to Hell". Slate. Retrieved December 20, 2017. ↑ Moore, Trent (January 31, 2017). "NBC renews acclaimed fantasy sitcom The Good Place for Season 2". Syfy. Retrieved December 20, 2017. ↑ Menta, Anna (October 19, 2017). "How Mike Schur's 'The Good Place' Is Revolutionizing the Sitcom". Newsweek. Retrieved December 20, 2017. ↑ Nussbaum, Emily (February 6, 2017). "Dystopia in The Good Place". The New Yorker. Retrieved February 17, 2018. ↑ Misra, Sulagna (October 24, 2016). "The Dystopia of Black Mirror, the Utopia of The Good Place". GQ. Retrieved February 17, 2018. 1 2 NBC press release (January 12, 2016). "Ted Danson and Kristen Bell Join Cast of Michael Schur's New NBC Comedy "Good Place"". The Futon Critic. Retrieved February 12, 2016. 1 2 Adams, Erik (September 21, 2017). "The good places: The uncommonly decent TV worlds of Michael Schur". The A.V. Club. Archived from the original on July 28, 2018. 1 2 Marilla Thomas, Leah (September 29, 2016). "The Character Names On 'The Good Place' Could Provide Important Clues". Bustle. Retrieved January 21, 2019. 1 2 Andreeva, Nellie (February 11, 2016). "'Good Place' NBC Comedy Series Casts William Jackson Harper". Deadline Hollywood. Retrieved February 12, 2016. 1 2 Andreeva, Nellie (February 25, 2016). "'Good Place': British Presenter Jameela Jamil Cast in Mike Schur NBC Series". Deadline Hollywood. Retrieved March 12, 2016. 1 2 Scherer, Jenna (February 2, 2018). "How 'The Good Place' Turned Into the Smartest, Funniest Sitcom on TV". Rolling Stone. Archived from the original on July 28, 2018. ↑ Romain, Lindsey (January 4, 2019). "Visit Janet's Void from THE GOOD PLACE Thanks to This Live Stream". Nerdist. Retrieved January 5, 2019. 1 2 Andreeva, Nellie (March 14, 2016). "'Good Place': UCB Performer D'Arcy Carden Cast in Mike Schur NBC Series". Deadline Hollywood. Retrieved March 15, 2016. ↑ Perkins, Dennis (November 15, 2018). "D'Arcy Carden dazzles as The Good Place drops yet another few narrative bombshells". The A.V. Club. Retrieved November 7, 2018. 1 2 Petski, Denise (March 3, 2016). "'Good Place' NBC Comedy Series Casts Manny Jacinto; Julie Goldman Joins ABC's Weeks/Mackay Project". Deadline Hollywood. Retrieved March 12, 2016. 1 2 Heritage, Stuart (December 8, 2017). "The 50 best TV shows of 2017: No 8 The Good Place". The Guardian. Retrieved July 28, 2018. ↑ Blevins, Joe (October 21, 2016). "Adam Scott is ascending into The Good Place for multiple episodes". The A.V. Club. Retrieved September 26, 2017. ↑ Rogers, Adam (July 27, 2018). "The Good Place's Podcasters Are Smart Motherforkers". Wired. Retrieved January 8, 2019. ↑ "'The Good Place' Season 2 Finale Teased By Newcomer Luke Guldan". International Business Times. September 28, 2017. ↑ "Michael Schur Returns to NBC with Series Order for Untitled Comedy". The Futon Critic. August 13, 2015. Retrieved April 27, 2017. ↑ "Kristen Bell on Twitter". Twitter. January 19, 2017. Retrieved January 24, 2017. ↑ Marc Evan Jackson (July 13, 2018). "The Good Place: The Podcast - Chapter Seven: D'Arcy Carden and Megan Amram". Art19 (Podcast). NBC. Event occurs at 6:16. Retrieved July 13, 2018. ↑ "NBC Augments Its Stable Schedule with Ambitious New Dramas, High-Concept Comedies and Unpredictable Unscripted Series". The Futon Critic. May 15, 2016. Retrieved January 24, 2017. ↑ Ostrow, Joanne (September 15, 2016). "How Will NBC's 'The Good Place' Tackle Religion?". The Hollywood Reporter. Retrieved October 11, 2017. ↑ Birnbaum, Debra (August 16, 2016). "'The Good Place' Boss Mike Schur: The Model in My Head is 'Lost'". Variety. Retrieved October 11, 2017. ↑ Spendlove, Jacqueline. "With a twist: 'The Good Place' returns after last season's surprise ending". TV Media. Retrieved September 25, 2017. ↑ Squires, Bethy (October 25, 2016). "The Refreshing Artifice of 'The Good Place'". Splitsider. Retrieved August 29, 2017. ↑ Adams, Eric (September 16, 2016). "Kristen Bell and Ted Danson find a great home in a Good Place". The A.V. Club. Retrieved August 29, 2017. ↑ Jensen, Jeff (January 20, 2017). "The Good Place season 1 finale: EW review". Entertainment Weekly. Retrieved August 29, 2017. ↑ O'Connell, Michael (June 15, 2016). "NBC Sets Fall Premiere Dates, Gives 'Good Place' a Choice Preview Slot". The Hollywood Reporter. Retrieved October 11, 2017. ↑ Ausiello, Michael (July 31, 2017). "NBC Tweaks Fall Rollout: Good Place Gets Early Talent-Boosted Premiere, The Blacklist Return Moved Up". TVLine. Retrieved August 1, 2017. ↑ Sandberg, Bryn Elise (November 21, 2017). "'The Good Place' Renewed for Season 3 at NBC (Exclusive)". The Hollywood Reporter. Retrieved November 21, 2017. ↑ Mitovich, Matt Webb (June 19, 2018). "NBC Fall Premiere Dates: This Is Us, #OneChicago, XL Good Place and More". TVLine. Retrieved June 19, 2018. ↑ Nemetz, Dave (December 4, 2018). "The Good Place Renewed for Season 4". TVLine. Retrieved December 4, 2018. ↑ Lambert, David (September 12, 2017). "The Good Place - Official Studio Press Release for 'The Complete 1st Season'". TVShowsOnDVD.com. Archived from the original on October 11, 2017. Retrieved October 11, 2017. ↑ Prange, Stephanie (June 5, 2018). "Season 2 of 'The Good Place' Due on DVD July 17". Media Player News. Retrieved July 15, 2018. ↑ Porter, Rick (January 23, 2017). "'The Big Bang Theory' ajdusts up, 'My Kitchen Rules' adjusts down: Thursday final ratings". TV by the Numbers. Retrieved January 23, 2017. ↑ de Moraes, Lisa (May 26, 2017). "Final 2016-17 TV Rankings: 'Sunday Night Football' Winning Streak Continues". Deadline.com. Retrieved May 26, 2017. ↑ Porter, Rick (September 21, 2017). "America's Got Talent,' 'Big Brother,' 'Masterchef' ajdust up, 'The Good Place' and 'Salvation' adjust down: Wednesday final ratings". TV by the Numbers. Retrieved September 21, 2017. ↑ Porter, Rick (February 2, 2018). "'Big Bang Theory,' 'The Four' adjust up, 'Mom' and 'AP Bio' adjust down: Thursday final ratings". TV by the Numbers. Retrieved February 2, 2018. ↑ Welch, Alex (September 28, 2018). "'Grey's Anatomy,' 'Big Bang Theory,' and 'Thursday Night Football' adjust up: Thursday final ratings". TV by the Numbers. Retrieved September 28, 2018. ↑ Welch, Alex (January 28, 2019). "'Brooklyn Nine-Nine' and 'The Good Place' adjust down: Thursday final ratings". TV by the Numbers. Retrieved January 28, 2019. ↑ "The Good Place: Season 1". Rotten Tomatoes. Fandango Media. Retrieved December 26, 2018. ↑ "The Good Place Reviews". Metacritic. CBS Interactive. Retrieved December 26, 2018. ↑ Zalben, Alexander (September 16, 2016). "Our 10 Most Anticipated New TV Shows of Fall 2016". TV Guide. Retrieved October 11, 2017. ↑ "The Good Place: Season 2". Rotten Tomatoes. Retrieved January 6, 2019. ↑ "The Good Place - Season 2 Reviews". Metacritic. Retrieved December 26, 2018. ↑ "The Good Place: Season 3". Rotten Tomatoes. Retrieved December 26, 2018. ↑ "The Good Place - Season 3 Reviews". Metacritic. Retrieved December 26, 2018. ↑ McFarland, Melanie (December 9, 2017). "How-to-be-good TV: "The Good Place"". Salon. Retrieved January 30, 2018. ↑ Trendacosta, Katharine (November 5, 2016). "The Complicated Morality of The Good Place". io9. Retrieved January 30, 2018. 1 2 Poniewozik, James (January 31, 2018). "How 'The Good Place' Became an Antihero Antidote". The New York Times. Retrieved July 28, 2018. 1 2 3 4 Yuko, Elizabeth (October 21, 2017). "How 'The Good Place' Goes Beyond 'The Trolley Problem'". The Atlantic. Retrieved January 30, 2018. 1 2 Street, Andrew P. (January 29, 2018). "The Good Place: How a sitcom made philosophy seem cool". The Guardian. Retrieved January 30, 2018. 1 2 Palumbo, Stephanie (January 25, 2017). "'The Good Place's Optimism Is a Salve for Despair in the Trump Era". Vulture. Archived from the original on July 28, 2018. 1 2 Herman, Alison (November 2, 2017). "Talking to a Philosopher About 'The Good Place'". The Ringer. Retrieved January 30, 2018. ↑ Dietz, Jason (December 6, 2016). "Best of 2016: Television Critic Top Ten Lists". Metacritic. Retrieved January 12, 2018. ↑ Dietz, Jason (December 4, 2017). "Best of 2017: Television Critic Top Ten Lists". Metacritic. Retrieved January 12, 2018. ↑ Prudom, Laura (September 7, 2016). "Critics' Choice Awards Reveal Most Exciting New Series Honorees". Variety. Retrieved October 11, 2017. ↑ "Best Comedy Series - Best of 2016 Awards". IGN. 2016. Retrieved October 11, 2017. ↑ Lewis, Hilary (December 7, 2017). "AFI Names Top Movies, TV Shows for 2017". The Hollywood Reporter. Retrieved December 12, 2017. ↑ Swift, Andy (January 11, 2018). "Critics' Choice Awards: Big Little Lies, Sterling K. Brown and More TV Winners". TVLine. Retrieved January 12, 2018. ↑ Beachum, Chris; Montgomery, Daniel; James Dixon, Marcus (July 26, 2017). "2017 Gold Derby TV Awards nominations: 'This is Us,' 'Veep,' 'The Leftovers,' 'Stranger Things' among top contenders". Gold Derby. Retrieved October 11, 2017. ↑ Naoreen, Nuzhat (January 18, 2017). "People's Choice Awards 2017: Full List Of Winners". People's Choice. Archived from the original on February 11, 2018. Retrieved October 11, 2017. ↑ McNary, Dave (March 2, 2017). "Saturn Awards Nominations 2017: 'Rogue One,' 'Walking Dead' Lead". Variety. Retrieved March 2, 2017. ↑ Otterson, Joe (June 19, 2017). "'Atlanta,' 'This Is Us,' 'Handmaid's Tale' Lead TCA Awards Nominations". Variety. Retrieved October 11, 2017. 1 2 Liptak, Andrew (August 20, 2018). "Here are the winners of the 2018 Hugo Awards". The Verge. Retrieved August 20, 2018. ↑ Macke, Johnni (September 5, 2018). "2018 People's Choice Awards: Complete List of Nominations". E! News. Retrieved October 16, 2018. ↑ "Emmys: Netflix Beats HBO With Most Nominations". The Hollywood Reporter. July 12, 2018. Retrieved July 12, 2018. ↑ "TCA Awards: The Americans, Killing Eve, The Good Place Among 2018 Winners". TVLine. August 4, 2018. Retrieved August 5, 2018. ↑ Mitovich, Matt Webb (December 6, 2018). "Golden Globe Nominations: Versace, Mrs. Maisel, Sharp Objects, Barry and The Americans Lead TV Pack". TVLine. Retrieved December 8, 2018. ↑ Hipes, Patrick (December 6, 2018). "WGA Awards TV Nominations: 'The Handmaid's Tale', 'Barry', 'SNL' Make List". Deadline Hollywood. Retrieved December 6, 2018. ↑ Peterson, Karen M. (November 29, 2018). "International Press Academy Announces Nominees for 23rd Annual Satellite Awards". Awards Circuit. Retrieved December 3, 2018. ↑ St. Clair, Matt (January 4, 2019). "'A Star Is Born,' 'Roma,' and 'Beale Street' Win Big at the Satellite Awards". Awards Circuit. Retrieved January 5, 2019.